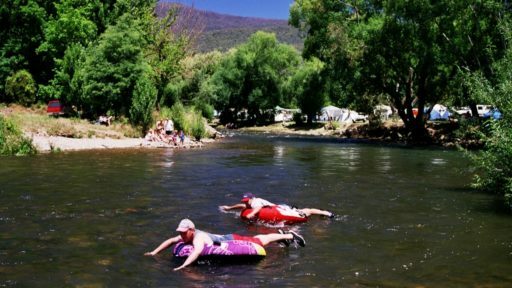 Why not have a swim in the Kiewa River? Such beautiful surroundings and the fresh water swimming will leave you feeling refreshed, cooled off and relaxed. See the walks & trails guide guide for how to access these beautiful swimming holes amongst majestic surroundings. The track starts at the commencement of Embankment Drive, off the Bogong High Plains Road at the entrance to Mount Beauty. This sealed track crosses the Pondage spillway and then meanders along the west branch of the Kiewa River all the way to Pebble Beach. 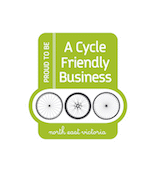 Enjoy lovely views across the farmlands and towards Mount Bogong with the track perfect for walking or riding. For good swimmers, there is a long deep pool at the turn around point. For more walks click here. Mount Beauty Swimming Pool, located on Pool Road opposite the Post Office, has three solar heated pools, a toddler, intermediate and 33m main pool. There are shady lawns, lots of pool toys and a well stocked kiosk. Early morning lap swimming on weekdays, two lap lanes at other times, weekly swimming lessons for all ages, a Learn To Swim Campaign in January, and twice a week "Seniors' Hour" are some of our special activities to promote health and fitness. 4 km from Tawonga towards Wodonga turn right at Redbank road and left over the bridge you will find the swimming hole. 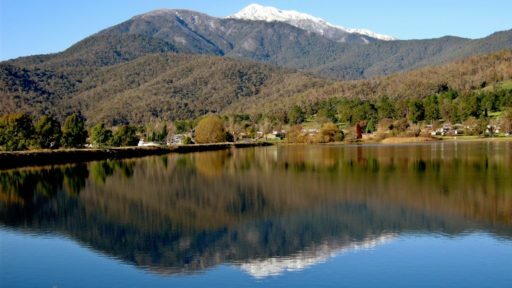 Located on Mountain Creek Road, just off the Kiewa Highway, Tawonga. Swimming hole located on the right opposite the Caravan Park. Parking and tables and chairs available.